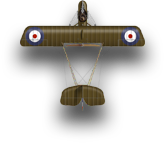 AA Store Sale Save 50% on ACE WWI Flight Stands. Our second raffle to send OldGuy59 to April's Wings of Prague convention involves Snoopy and his arch-nemesis, The Red Baron! The winner will receive a Wings of War red Fokker Dr. I triplane (used); a Hallmark pewter Snoopy (painted and converted) with appropriate movement deck, doghouse plane card, and custom flight stand with pegs; and an Alexandros Miniatures 200mm bust of the Baron himself (painted and mounted on a base). So you have something for the display shelf and something(s) to use on the playing mat ...it's hard to go wrong with some Snoopy versus The Red Baron action every now and then! And it's all for a good cause. This raffle has ended and a winner will be drawn and announced soon! Does Eileen know it’s the new wargames room yet? Some very amusing answers there chaps. This is what has occurred since we got back on Monday. Easter Air show in New Zealand! When I saw the first two pics I thought Eileen had plans for the Notts flight ! They have Boomer pilots and Number 6 pilots. Six & Frak & Barrel Rolls! Is the Starbuck Viper new? Like has stuff not in the starter set? A Number 6 could have been. Just cause one wasn't shown on the program, doesn't mean we can't have one. And it isn't 'historical' anyway. It's probably a hanger with a camouflaged door. Number Six was not a pilot. Maybe some sort of bunker since I don't see a door but then the window may be removed and become a way into this "Hobby Room". Trench? ?...nah..it is a pool for WWII naval minis. We like to think so Dave! I am sure you will post some pics that you take if you get to the show. Great photos of all the games and people. Good to place faces with some of the names of people that are in here. Very nice Baz, those chaps in NZ are lucky blighters ! Great photographs, Barry, and I am sure that you will obtain many more at the air show this weekend! Have an exciting time. All times are GMT -7. The time now is 06:26.